Come build the Anglerfish drone synth in a workshop lead by the designer of the synth, Bridget Ferrill! She’ll guide you through the whole assembly and soldering process, plus explain how the circuit works. 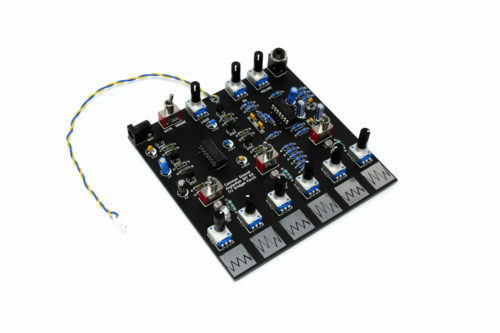 The Anglerfish is a 6 square oscillator noise and dronemaker for experimental and drony sounds. Use the light controls with the built-in LED or use an external torch to modulate the pitch! Drone on! This DIY Kit is suitable for beginner solderers. Anglerfish is the first self-released DIY Kit by Common Ground, designed by Bridget Ferrill.